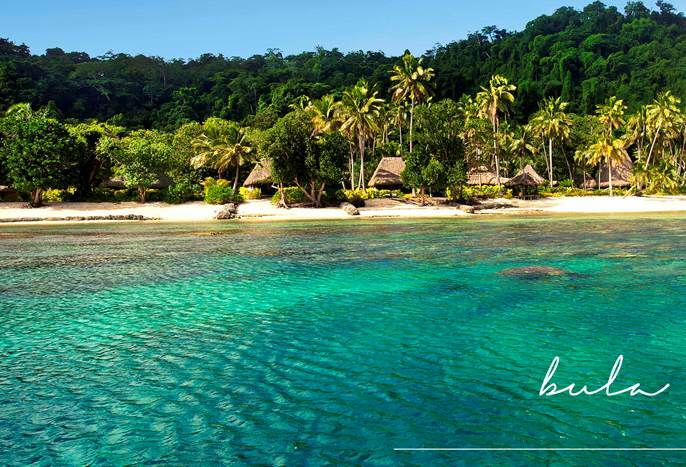 Qamea Resort & Spa, Fiji, Named best luxury destination! Qamea Resort & Spa has recently been named "The Best Luxury Destination Spa" in Australasia & Oceania at the World Luxury Spa Awards. This award was voted on by guests and industry consultants for outstanding achievement in service delivery over this last year. Qamea Resort is a private, adults-only island, located in Fiji, off the island of Taveuni on a 2km spread of beautiful shoreline with 17 intimate bures. With an authentic Fijian design, mountainous peaks behind it, and turqouise waters infront of it, you'll never want to leave. Don't forget it's ideal location, just minutes from several amazing divesites! Following arrival in Nadi, guests take a short flight to Taveuni Island, where they are greeted by resort staff and escorted via vehicle and boat to Qamea Island. You have the option to choose between 11 beachfront bures, 1 honeymoon villa, 2 honeymoon bures, 2 royal beach houses, and 1 royal beach house with 2 bedrooms. Enjoy true luxury during your stay. Qamea Resort & Spa has a few specials currently running. Great "5 and 7 night special pricings" for both low and high season times for 2015 and 2016, as well as a "Scuba and Yoga Special" for the perfect combo of activities and relaxation, valid for travel/bookings until September 30, 2015. Email us at info@bluewaterdivetravel.com to take advantage of these great specials. Bluewater Travel can book you on any trip to Qamea Resort & Spa for the same cost or less than booking any other way. We know the resort, area, and when to go better than anyone else!